Sridhar heads the Compliance, legal, regulatory and internal Audit functions of the group. He has over 3 decades of experience as a banker and in Capital Markets. It includes credit evaluation in banking and Economic and Fundamental Research, Retail and Institutional Broking and Fund Management, in the capital markets. He is a Commerce graduate and a Certified Associate of the Indian Institute of Bankers. Sharmila heads the group finance function and is based in Singapore. She has over a decade’s experience in finance, accounting, consulting and auditing. 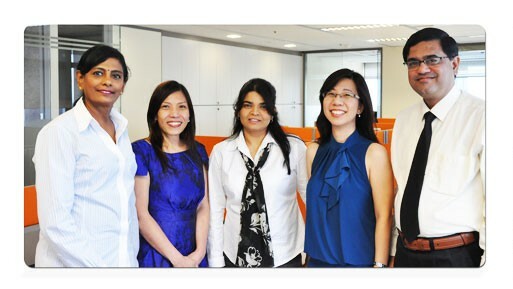 Her work experience includes PWC and the Economic Times in India and Mphasis and NorthgateArinso in Singapore. She is a Chartered Accountant (India & Singapore) and a CPA (USA).